1942 - Two Babcock and Wilcox header boilers, one 1,400shp Chester Shipbuilding 200psi saturated steam vertical triple expansion reciprocating engine. 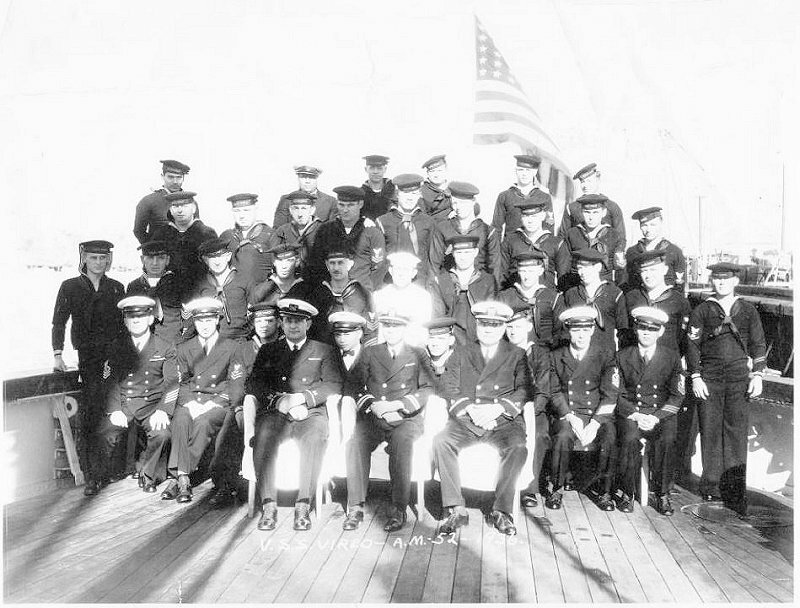 119k Ship's Officers and Crew, 1934. 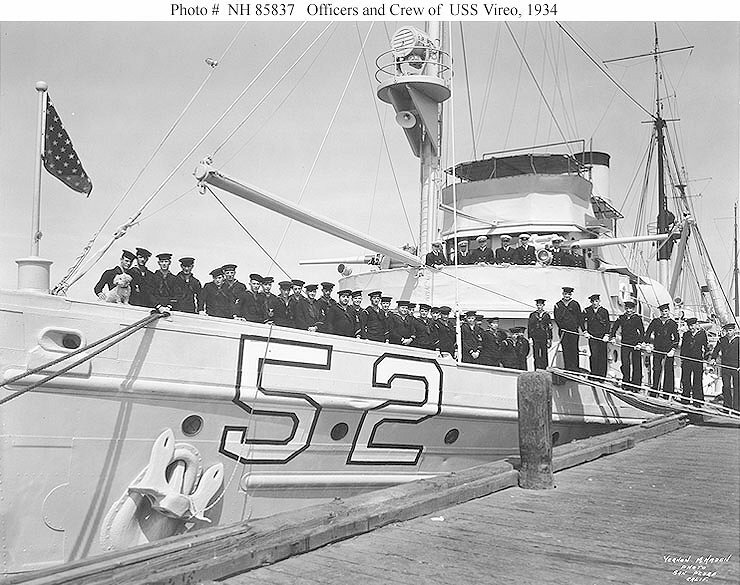 Note stockless anchor in the port bow hawsepipe, fancy hull number, and ship's dog held by the Sailor at left. Photographed by Vernon M. Haden, San Pedro California. Donation of Ted Stone, 1977. 131k Pearl Harbor Attack, 7 December 1941. 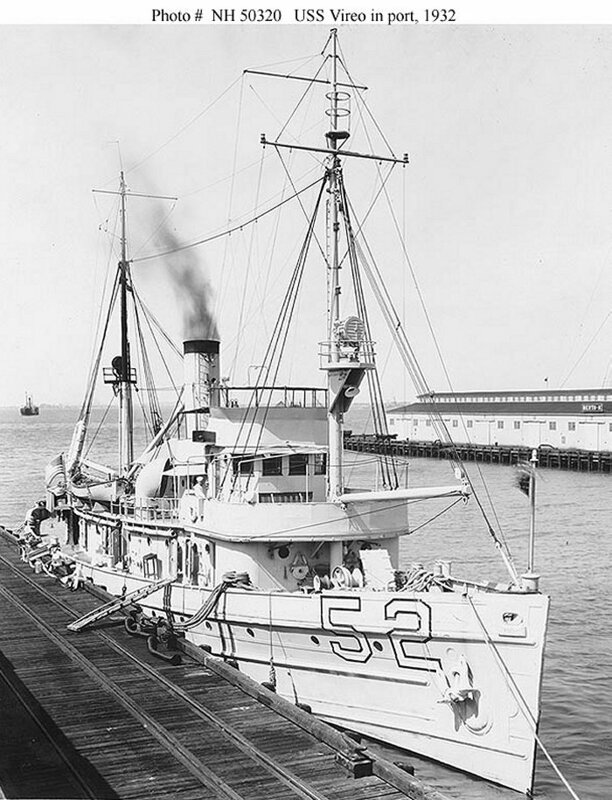 View of USS California (BB 44), taken a day or two after the Japanese raid. Bobolink (AM 20), at left, Vireo and YW-10 are off the battleship's stern, assisting with efforts to keep her afloat. 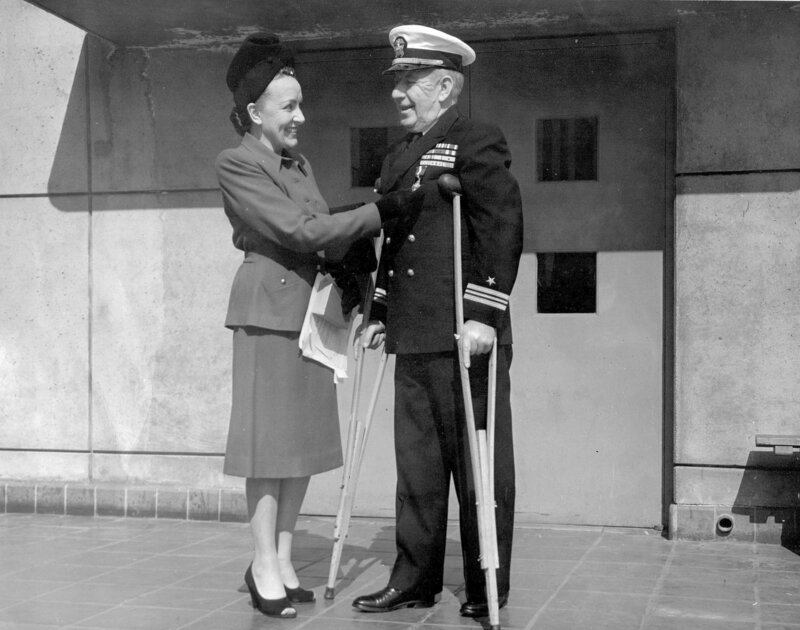 From the collection of Vice Admiral Homer N. Wallin, USN, Ret. 175k Battle of Midway, June 1942. 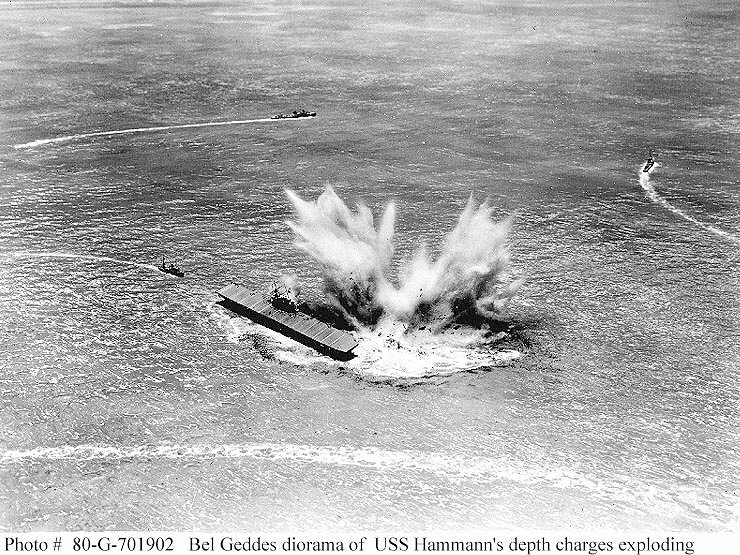 Diorama by Norman Bel Geddes, depicting the explosion of depth charges from USS Hammann (DD-412) as she sank alongside USS Yorktown (CV-5) during the afternoon of 6 June 1942. 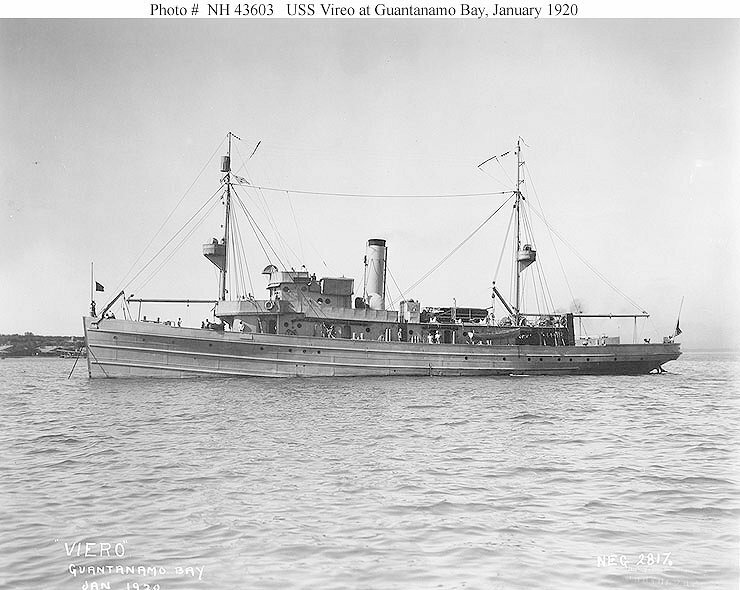 Both ships were torpedoed by Japanese submarine I-168 while Hammann was assisting with the salvage of Yorktown. 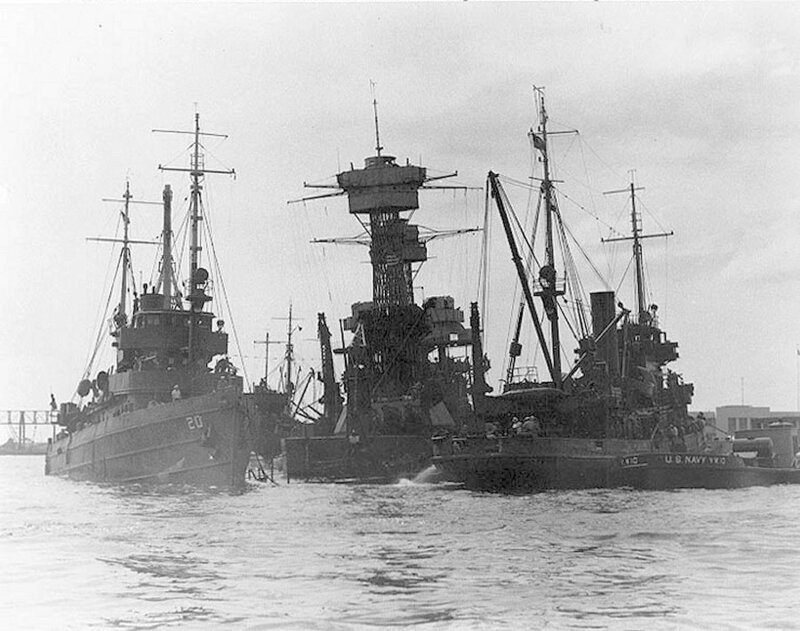 Vireo is shown at left, coming back to pick up survivors, as destroyers head off to search for the submarine. 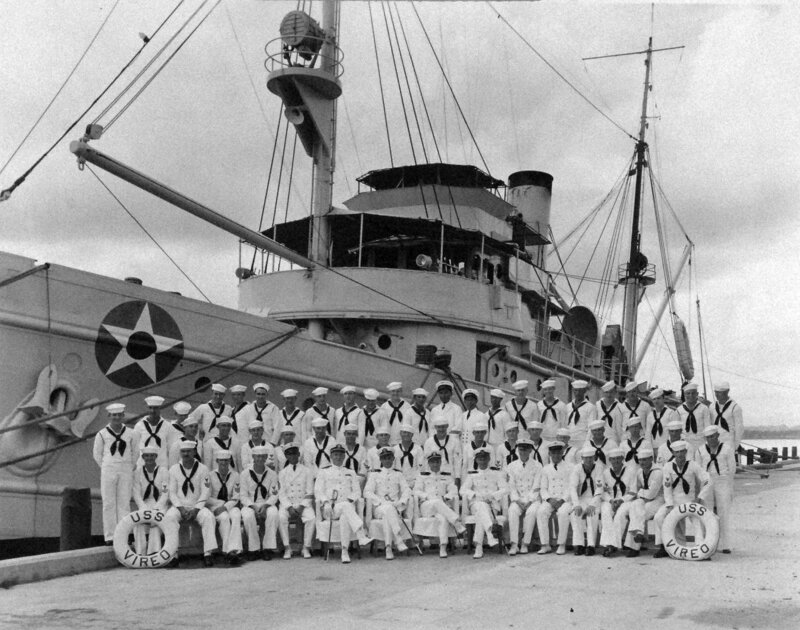 60k Vireo at Pearl Harbor, Hawaii, following repairs and overhaul, 20 August 1942. 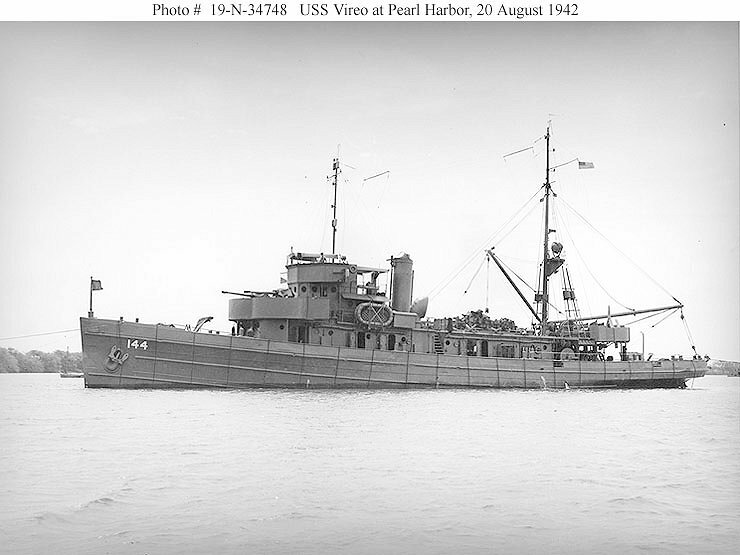 105k 13 July 1943. 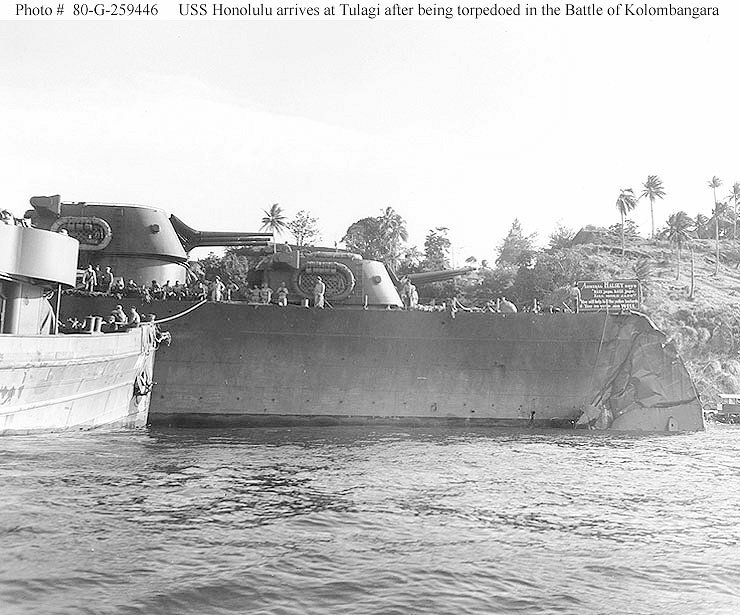 USS Honolulu (CL-48) in Tulagi Harbor, Solomon Islands, for temporary repair of damage received when she was torpedoed in the bow during the Battle of Kolombangara. 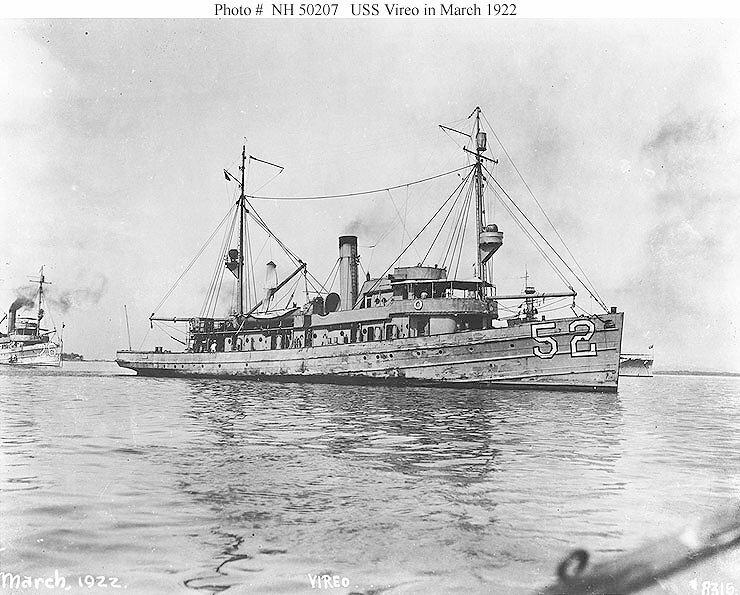 Vireo is assisting the damaged cruiser.